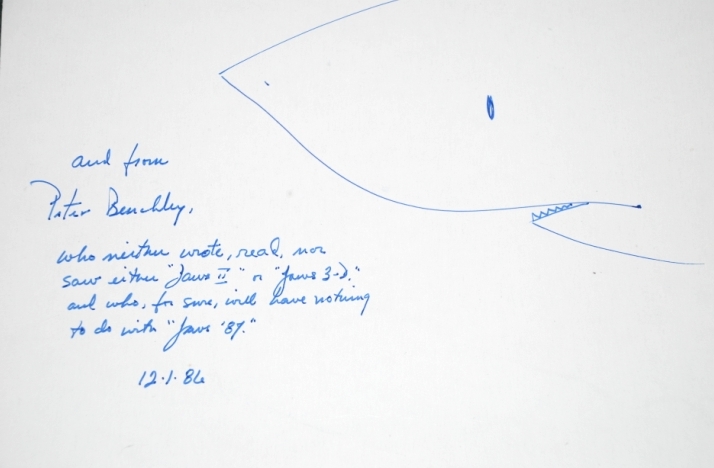 JAWS Peter Benchley Signed Autograph LARGE written note. 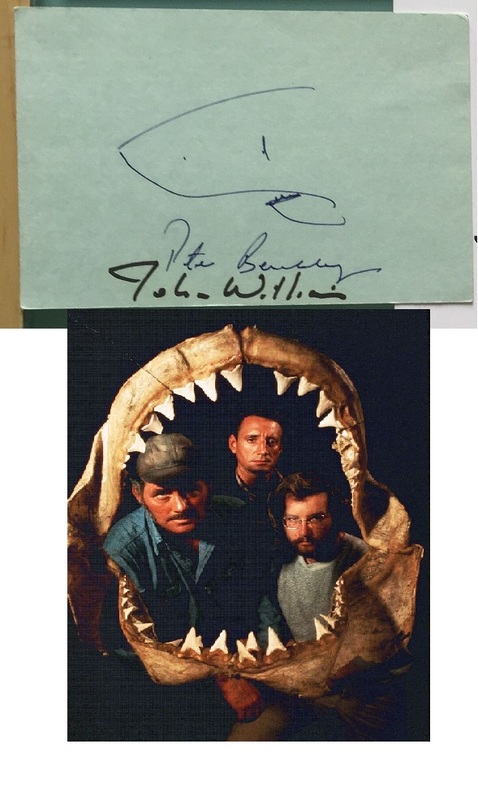 Includes a note from Peter Benchley (Author of Jaws - now deceased) saying that he had nothing to do with Jaws II or Jaws 3D. Approx 8" x 6" in size. Amazing item.